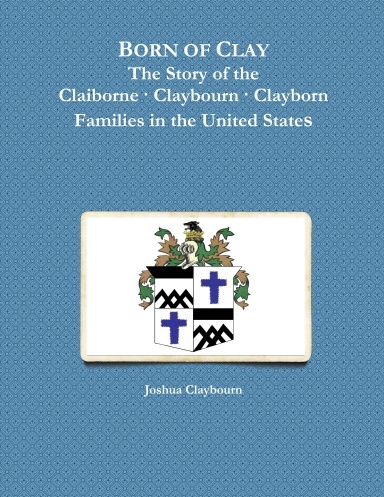 Born of Clay begins with Joshua Clyburn in the late 1790s and provides detailed history on his thousands of descendants, getting progressively more detailed as the generations progress toward modernity. As early as 1906, Verner Marvin Claybourn began collecting data on the Claybourn Family, and on the English family from whom he believed the family descended. In about 1935 Harriette Pinnell Threlkeld joined Verner in collecting data on the hundreds of descendants of William Divine Claybourn, her great-grandfather. From their foundational core came this one-of-a-kind book on thousands of individuals connected to the family.